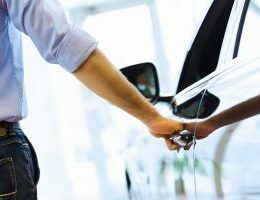 Australia Fair Metro and Australia Fair has on-site car parking for 2,500 vehicles. Australia Fair Metro (Young Street & Garden Street Street car parks) offers up to 2 hours free parking with our ticketed parking system. After the first 2 hours fees apply. Australia Fair Car Parks offer up to 3 hours free parking with fees applying after the first 3 hours. 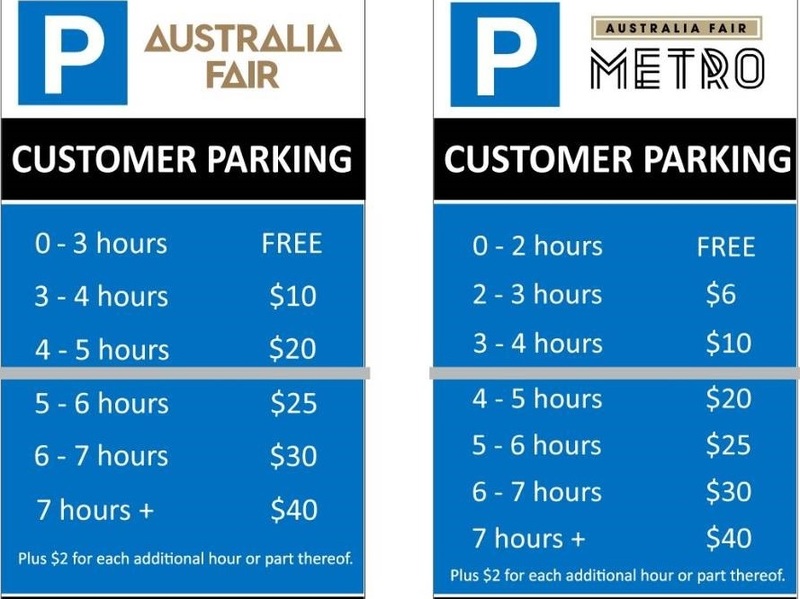 Customers who spend $100 or more at Australia Fair and/or Australia Fair Metro in any one visit are entitled to 5 hours free parking. Customers simply need to present their proof of purchase/s to the Customer Service Desk to redeem a validation ticket. Patrons of Australia Fair Metro restaurants are eligible for FREE parking in the Garden and Young Street Car Parks. Simply ask the restaurant staff for a parking validation ticket on payment of dining bill. Event Cinema patrons will need to keep their movie ticket to be entitled to 5 hours free parking on the day of visit at Australia Fair or Australia Fair Metro car parks. Validate your parking at the any pay station or when exiting the car park by using the barcode on your movie ticket. Customers with an authorised disable permit are eligible to park FREE all day. Please visit our friendly Customer Service Desk located on level 1 for details.